The PRO90 6 MFE S AR have been awarded the Golden A' Design Award! 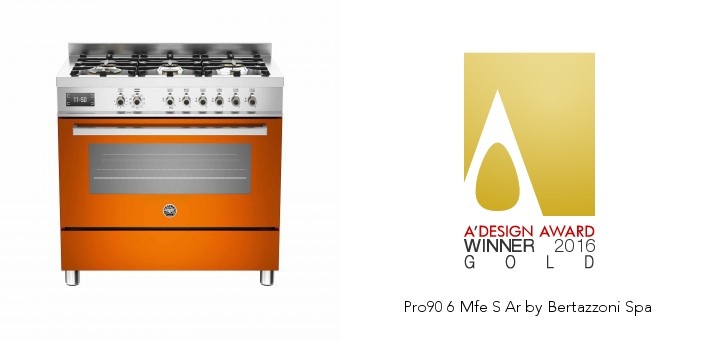 We are pleased to announce that PRO90 6 MFE S AR Freestanding Cooker have been awarded the Golden A' Design Award in the category of Home Appliances Design by the grand jury panel of the A’ Design Award & Competition which consists of internationally influential press members, established designers, leading academics and prominent entrepreneurs. The A' Design Awards are the world’s most influential and largest design awards, presented each year in Italy. It is a great honour for us to receive this prestigious award. This award gives recognition to the excellence of design on the international stage!